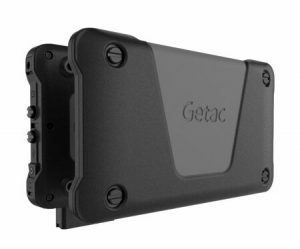 The MX50 was designed from the ground up for tactical operations and true field computing, and is the first wearable product by Getac to target specific defense sector requirements. 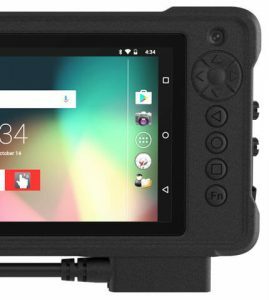 With a sunlight readable 5.7″ display, Intel® Atom X5 processor, and compact, chest-mounted design, the MX50 has the ideal size, weight and power. Weighing in at less than 1 lb., the MX50’s compact size and weight deliver unrestricted movement and versatility. The MX50 is configured with the Intel ® Atom ™ x5 Processor. This new generation Atom ™ processor is optimized for energy efficiency, but has a quad-core chip as well as Intel ® HD graphics, so it can perform well, even with the most demanding graphic applications. Operational performance can’t suffer because you get wet. 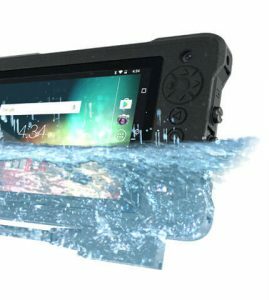 That’s why we’ve designed the MX50 to be water resistant rated to IP67, so it can go where you do. 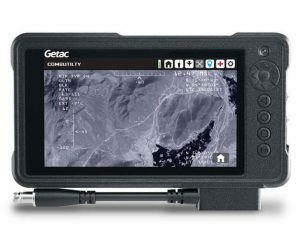 Getac has collaborated with industry-leading partners Black Diamond Advanced Technology, ViaSat and Trivalent to provide a complete solution for the tactical operator, including power, communications, device management and NSA-approved file security. 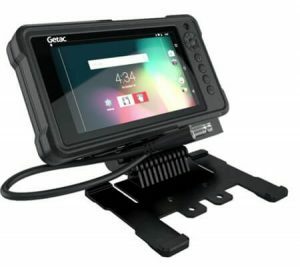 With its built-in military connector, the MX50 integrates into the Black Diamond APEx system for external power and communications. 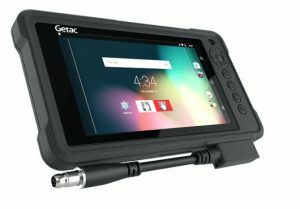 Available ViaSat Dynamic Defense software provides robust and flexible end-user policy management and device protection in both connected and disconnected modes. NSA-approved, Trivalent Data Protection software ensures that classified and sensitive data remain protected in the file system of the device. The MX50 has been approved for U.S. Government use by the NSA under the Commercial Solutions for Classified (CSfC) program. For customers who require Next Generation Data Protection™ to secure data-at-rest we can offer Trivalent’s leading-edge software, Trivalent Protect™. 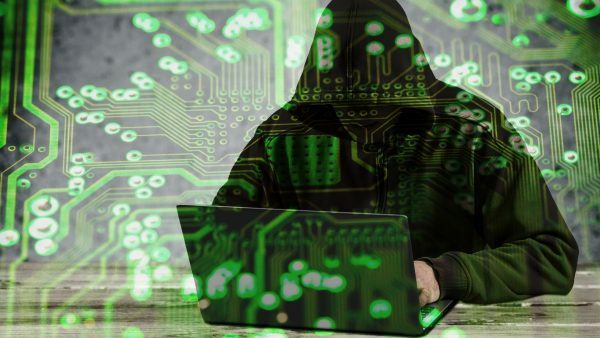 Through a unique process of encryption, data shredding and secure storage, Trivalent ensures vital data is protected in real-time from unauthorized users. To enhance the level of encryption to secure data-at-rest, we offer Trivalent’s cutting-edge encryption process, data shredding and file reconstitution to ensure vital data is secure, should the device fall into the wrong hands. 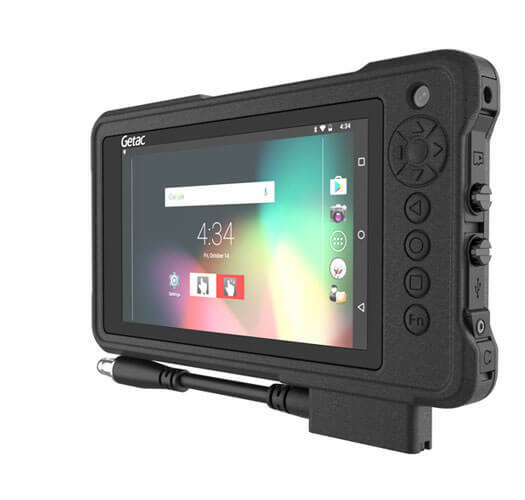 The MX50 uses our revolutionary LumiBond ® 2.0 technology to achieve a display that is more readable and offers better contrast and more crisp colors than any other rugged tablet display. 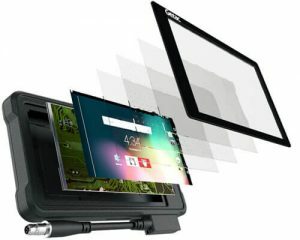 By bonding the display glass with the touch panel and LCD, we’ve created a single panel that is more durable, minimizes glare and improves readability. 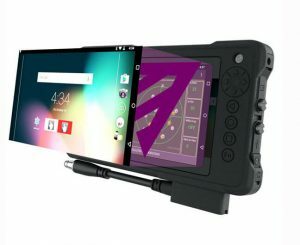 Four advanced touch modes (Touch/Rain, Glove or Pen mode, plus an optional Digitizer mode) enable you to interact with applications in any environment. 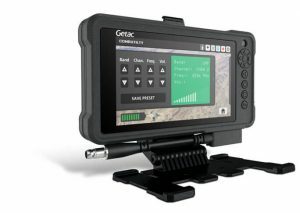 The MX50 is designed to integrate with the other elements of the soldier system, including tactical hubs and power management systems like the Black Diamond Advanced Technology APEx. However, if the device is required to operate independently for extended periods, then the SnapBack battery can be attached to increase operating time. 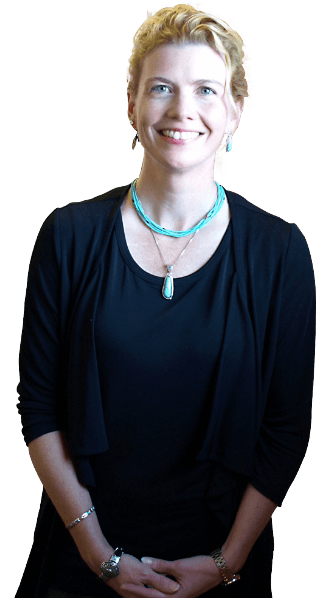 Apps have changed the way we access and enter data remotely. Android OS makes it easy to build a custom app or use one of the top operating utilities available on the market today. 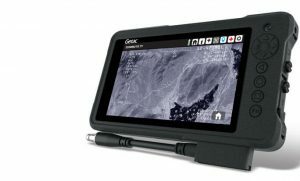 The MX50 is fully interoperable out of the box with current and legacy soldier systems. 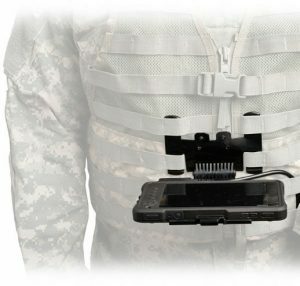 The optional chestmount is designed to integrate with a standard issue MOLLE vest, providing handsfree carrying and ease of access. The MX50 is designed from the ground up to be rugged, certified to the highest military standards and tested by independent, internationally recognized laboratories, providing absolute confidence that it can survive in any environment. Certified to MIL-STD 810G for ruggedness, the MX50 has been tested to endure drops, impact, dust & water ingress, temperatures from -5.8°F to 140°F and low pressure altitudes. MIL-STD 461G is the military standard and testing specification to ensure the conducted emissions (CE), conducted susceptibility (CS), radiated emissions (RE), and radiated susceptibility (RS) of a system can meet the requirements for the control of electromagnetic interference. 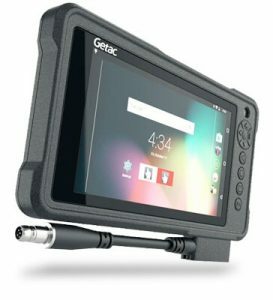 The MX50 is designed not to fail, but if it ever needs to be serviced, Getac offers unmatched coverage and support that will ensure that you get your device fixed and back on the job fast. Supporting the defense sector for over 25 years, Getac understands the importance of stability of lifecycle and configuration management. We cover warranty extensions beyond the standard 3 years, depending on project requirements. 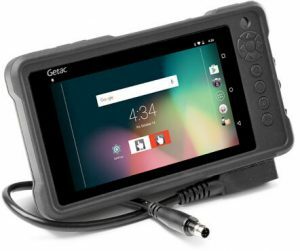 All of this ensures that the device delivers the stability your projects require. 2 MX50 comes standard with a 3-year bumper-to-bumper warranty. For full details of the warranty protection, see the terms and conditions. ** Battery performance will vary based on software applications, wireless settings, power management settings, LCD brightness, customized modules and environmental conditions. As with all batteries, maximum capacity decreases with time and use and may eventually need to be replaced by a Getac service provider. Battery life and charge cycles vary by use and settings. † Weight varies by configuration and manufacturing process.